Product prices and availability are accurate as of 2019-04-22 21:56:47 UTC and are subject to change. Any price and availability information displayed on http://www.amazon.com/ at the time of purchase will apply to the purchase of this product.
? 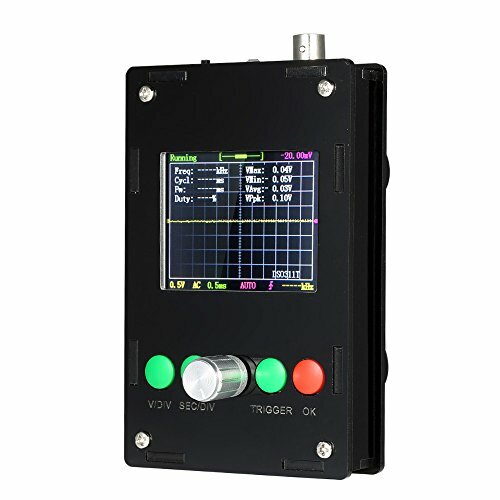 ?This DSO311 DIY digital mini oscilloscope kit adopts STM32 chip, ARM Cortex-M3 processor and with 2.4-inch TFT screen and protective case. 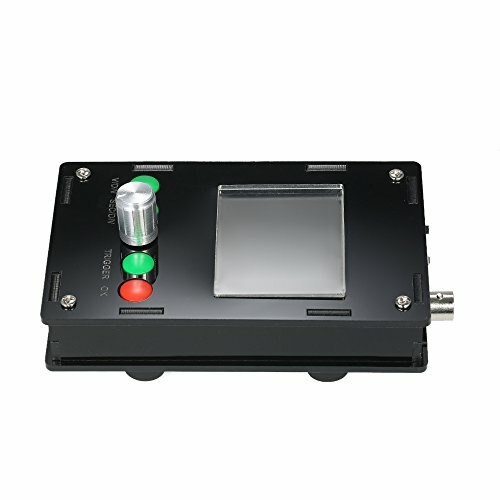 It's easy and reliable for circuit operation. 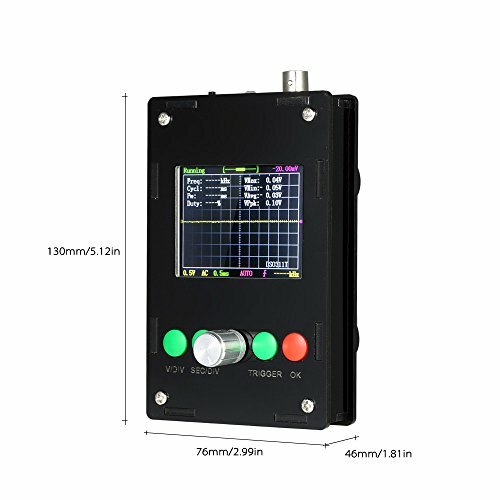 It can display waveform parameters, such as frequency, period, pulse width, duty ratio. This mini oscilloscope is designed for electronic hobbyists to learn about electronics, soldering, programming and STM32. The SMD has been soldered, more suitable for electronic beginner.Great DIY kit and fun to make your own oscilloscope.
? ?Notice: When you receive this DIY kit, please don't solder it before connecting with DC 9V 200mA power supply to test the circuit board(no more than 10V, or it may be burned). 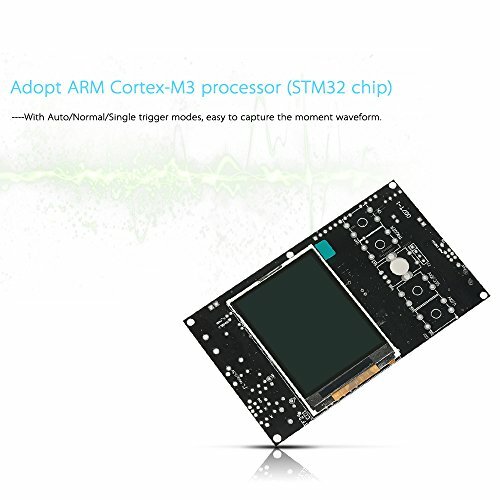 Adopt ARM Cortex-M3 processor (STM32 chip) and it runs faster than DSO138 and a good handle of data. 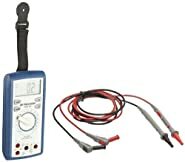 Used for secondary development on the basis of this kit, for example, it can be changed to Millivoltmeter, data loggers. 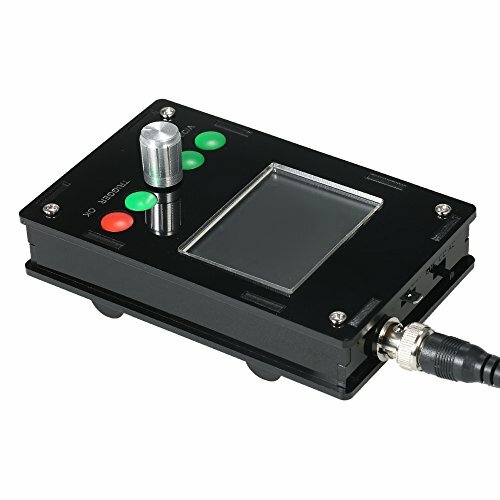 With Auto/Normal/Single trigger modes, easy to capture the moment waveform. Available rising or falling edge trigger and with adjustable trigger level position and instructions. Observable previous waveform before trigger(negative delay).